Hi-Rez Studios will be introducing a new Battle Royale game mode, to their smash-hit title, Paladins. The new mode will be known as Paladins: Battlegrounds. Paladins: Battlegrounds will allow players to engage in what Hi-Rez is touting as the first-ever, hero shooter battle royale. The game mode will mash together ability driven combat with intense, survival-driven gameplay, in a familiar fantasy arena setting. 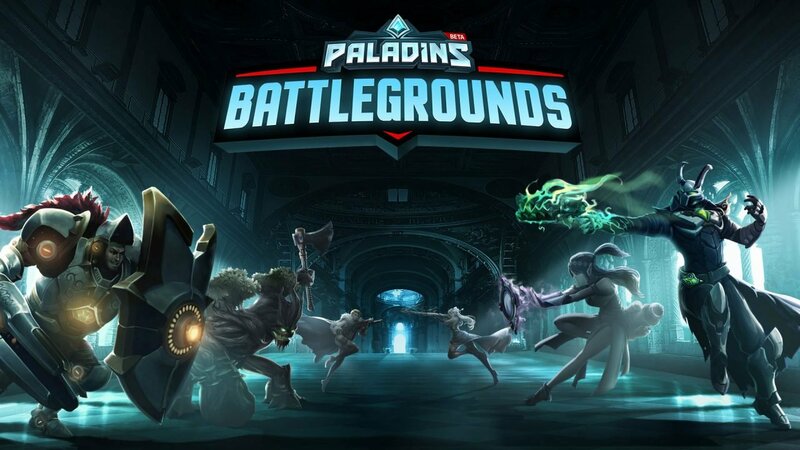 “Riding on a mount through this massive fantasy-themed map, looking for gear and cooperating with your team, Paladins: Battlegrounds delivers some of the feel of open-world MMO PvP but all within a 20-minute match,” said Todd Harris, Executive Producer of Paladins. The new game mode has been designed from the ground-up with team-play in mind. Players must work together to survive, with roles like the Damage Champion reserved best for ranged combat, while Flanks are encouraged to look for any potential assassination opportunities in the large and sprawling arena. Players will spawn into a massive map, 300 times the square foot of a typical Paladins’ Seige map, and like any good battle royale game type, the safe zone will gradually shrink, indicated by ominous fog that blankets the stage. With 100 players on the battlefield, the tension and atmosphere will be higher than ever. An early alpha version is playable at Hi-Rez Expo, and a full release of the Battlegrounds game mode will be added to Paladins in 2018. In other Paladins’ related news, the game will be getting a new Flank character, Moji, a magical Flank, and a new species, never before seen in the Realm. Moji mounts a summoned two-headed dragon into battle, Moji will be the 35th Champion character introduced thus far. If Battle Royale isn’t your thing, Paladins’ will be getting a Team Deathmatch game type. The mode will be introduced with a new map, called Trade District. A new mount type, Battle Cats, will be coming to the game — with the first, Primal Prowler, free to all Twitch Prime member subscribers. Subscribers will also receive a Twitch Prime King Bomb King skin, in addition to other, unspecified bonus content. Paladins is free-to-play on PlayStation 4, Xbox One and PC via Steam. Liked this article and want to read more like it? Check out Derek Heemsbergen’s review of Romancing SaGA 2 on the Nintendo Switch.